There's plenty to choose from when you know where to look. Living abroad, outside your own culture and the comfort zone that comes along with it, can be difficult. Depending on how much of a challenge you have picked for yourself, the experience varies. You could be just hours away from your friends and family or halfway around the world. Maybe you’re enjoying weather similar to home or have your seasonal clock all messed up. You might be chatting away in a language that isn’t your mother tongue, but regardless very familiar. Or you could be sitting in company completely silent because you don’t understand a thing. And at times, you will be homesick, which is where your favourite comfort food comes into play. But what if the best of the best is not available in your new adopted homeland? Why On Earth Would You Willingly Eat That? Most nationalities tend to have some peculiar dishes in their traditional cuisine. Think of the infamous Swedish surströmming, fermented Baltic herring (yeah, the really smelly one). Or the ever-so-popular black bread, mostly on the minds of post-Soviet Union expats. Mind you, Maltese horse meat dishes would raise quite a few eyebrows elsewhere! It might seem there’s nothing but pasta and pastizzi available on the island. The truth is, there are small treasuries for those fond of some Eastern European taste. Listen up, we know where you can get your daily dose of home! One of the first places I discovered was the Turkish Mini-Market near Qroqq skate park. Don’t be confused by the name. They have an excellent choice of Russian and Latvian produce, ranging from sour cream and curd snacks to everything pickled. There is, of course, also the specifically Slavic-oriented Russian Supermarket near St James Hospital in Sliema. In all fairness, the place doesn’t really earn the title “super” with its size. However, for a desperate consumer in search for some true Russian pryanik‘s, black bread and sprats, that is really the place to go to. Smart Supermarket caught red-handed selling actual Estonian cheese! Apparently business has been going well for the aforementioned. 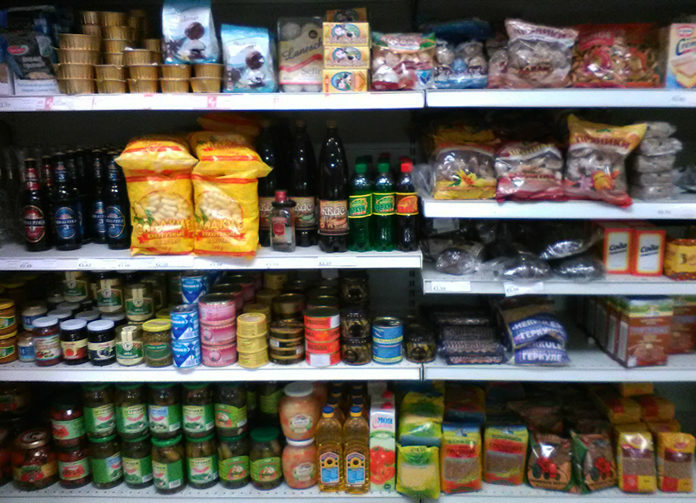 As luck would have it, they’ve cooperated with Smart Supermarket in Birkirkara and created a section for Russian foods. It’s not even hidden away in the deepest, darkest corner! There’s buckwheat and beer, pâté and dumplings. Smart is also the place that has been, on occasion, caught red-handed selling actual Estonian cheese. A smaller, but still remarkable section of sour creams, kefir‘s and bologna sausages has also been spotted in Pavi’s Shopping Complex near Qormi Bus Terminus. Great option for those couples who crave a little bit of everything. Some familiar tastes also welcome you in Little Sweden, located on the border between Sliema and Gzira. The best finds are mostly fish products such as herring in any and all forms it could possibly come in. Just stay away from the really smelly one, OK? Last, but not least, if you’re thirsty for some Estonian cider, prepare for a ferry ride to Gozo. Make your way to Arkadia in Victoria. There, cosying up with their friends from around the world, are Fizz ciders from the popular Estonian beer maker Saku. 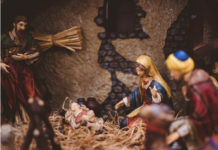 Keeping the holiday season in mind, I decided to also take tour around some of those shops for Christmas specialties. Unfortunately, the news aren’t very good. My question for blood sausage (a. k. a. black pudding in some parts of the world), got nothing but confused looks. Even the lady at the Russian Supermarket could barely understand what I was referring to – quite a disappointment. Gingerbread cookie dough was available in the Turkish Mini-Market last year, but this year they weren’t sure yet. However, messaging them via Facebook, the person responsible for the orders confirmed there is hope. They will be updating their page very soon with any new items coming in. I, for one, will most definitely be keeping an eye on it. Mulled wine, the true kind, is nowhere to be found. There is the German Glühwein, sold in quite a few shops around the island, which could be an alternative. But your best bet might actually be making your own; try this recipe out from Jamie Oliver. The shops do have a few things available, tried and tested tasty. First, you have the sauerkraut, a must on a Christmas table. There are also a lot of different wild mushrooms, mostly pickled or salted. The best find this year, without a doubt, were fresh frozen raspberries in the Russian Supermarket, brilliant for some kissel. What Is All This Anyway? In case you got either very confused or perhaps a little curious about some of the products mentioned above, let me elaborate on my own personal favourites. Sour cream (a.k.a. crème fraîche) is regular cream fermented to the point where it becomes thick and sour. Dumplings come in very different shapes, sizes and fillings. The ones most popular in the Baltics are small, almost pastizzi tal-pizelli shaped dough pockets around 3 cm long, filled with beef or pork. Kefir is a peculiar fermented milk drink that is excellent for your digestive system. It can either be had on its own or mixed with berries for a kind of a smoothie-yoghurt. Sauerkraut, as the name indicates, is a sour cabbage product, thinly cut and fermented. A very popular dish during Christmas time. Buckwheat is a brownish seed, which can be made into a porridge that is a nice change from rice or pasta. Smoked sprats in oil are tiny fish smoked and packed in a can filled with oil. The heads and guts are usually removed, but all the rest is processed so well you would eat them whole. Pâté is a spreadable fine paste made of a mixture of minced meat and fat. Curd snack is a small sweet treat made of curdled milk most often covered with chocolate glaze, making it a perfect dessert. Pryanik, or a Russian spice cookie, traditionally comes in the form of a small round soft brownie. It is covered with a sugary glaze and has a slight gingerbread-like taste to it. Black bread is a sourdough rye bread, dark brown in colour and sometimes enriched with seeds. Kissel is in essence a sweet soup, made out of fresh of dried fruits and berries. The soup is thickened by corn starch and served as a dessert. As you can see, it’s possible, albeit not easy, to get that real taste of home for just a little bit. Luckily, with Malta becoming more and more multicultural, the food will follow. Alas, so far, pickled garlic and tuna in tomato sauce have still evaded our team’s hungry eyes. Anyone who has any information as to the whereabouts of the named items are requested to report back to us immediately! Lilian is a designer-by-degree, analyst-by-profession Estonian, who moved to the small Maltese rock back in 2014. Mixing her passion for DIY, walking everywhere and opinionated blogging, she shares her experiences of settling in to the culture far from the one she got used to growing up.